Veteran Nigerian hip-hop head Modenine has decided to go on a 30 day campaign titled #3oDaysOfModenine which he would release 30 blazing songs. On the first day he premiered “Optimus Nine” produced by X.O, on day 2 he dished out “Danger Zone” which was produced by Stormatique. 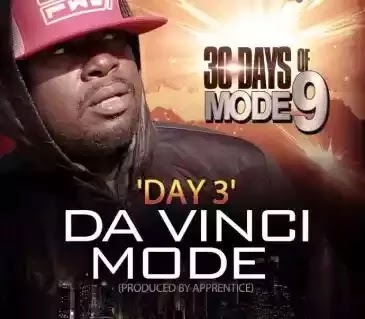 Today being the 3rd day, he premieres “Da Vinci Mode” produced by Apprentice.